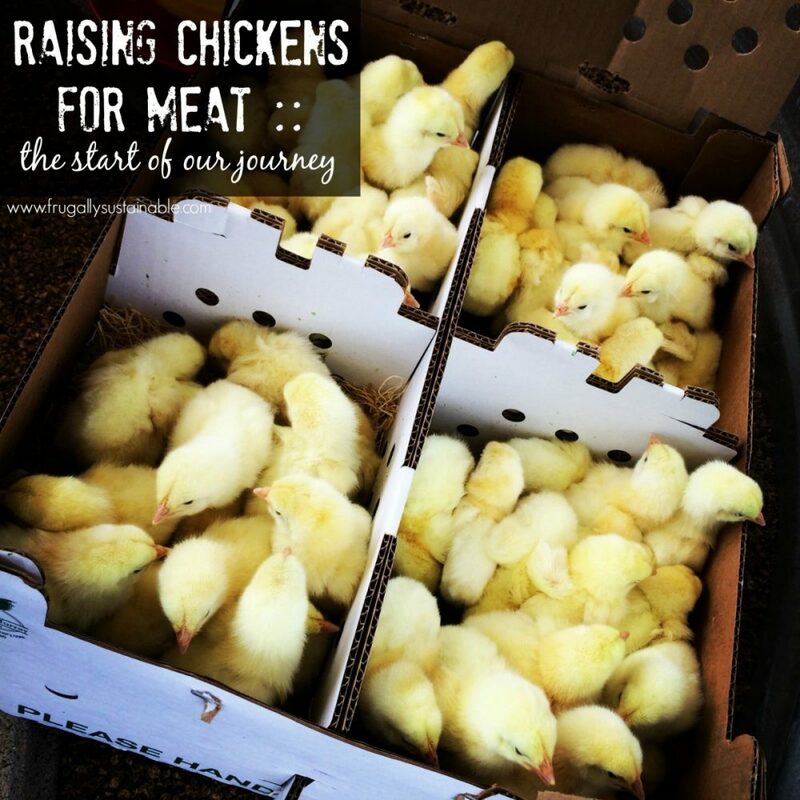 A few weeks ago I wrote to you through an article titled 5 Compelling Reasons to Raise Your Own Meat Birds. It was then I shared that our shipment of meat birds was scheduled for delivery the week of January 26th. All 60 bright yellow chicks (I know! Try not to get lost in the cuteness factor). This will be our second batch of Jumbo Cornish X Rock broilers. The first time (October 2013-December 2013), we raised 15 to the age of dispatchment…that experience taught us so much about the differences in keeping layers vs. meat birds. Confident in our ability to grow and harvest enough meat to stock our freezer for a year, we placed an order for 60 more. So as I mentioned — for this second batch of chicks — we decided to stick with the Jumbo Cornish X Rocks. We made this decision primarily for the ease of production. In 8 weeks — give or take a week or two — the whole process will be complete. The downside to the Cornish Cross…they’re a hybrid (a special mating between two different types of chickens). This means there’s no sustainability to the breed for the small-scale homesteader. Therefore, we also made the decision to ordered 50 Silver Gray Dorkings and have big plans for a sustainable breeding program that will insure our family’s future meat and egg production. Historically, Dorkings were developed for their especially fine quality meat and exceptional egg laying ability. They are now, however, listed on The American Livestock Conservancy (the leading nonprofit organization working to protect breeds of livestock and poultry from extinction) as a “threatened” heritage breed. are great foragers (reducing the cost of feed). have a very gentle temperament. the hens are often broody (limiting the need for egg incubation) and make wonderful mothers to the chicks they are able to hatch. are able to mate on their own. are a homesteader’s dream chicken!!! We can’t wait to raise them here at the ranch! We will raise our Cornish X Rocks with a mix of indoor and range confinement. The chicks will live — indoors (the garage), in a cattle tank, on a bed of TerrAmigo (pine pellets made from pure Arizona pine), under a brooder light with a heat lamp – for 2-3 weeks until they move outdoors to enjoy the rest of their days outdoors on grass. Even outdoors, they will need protection from the elements and predators…this made possible within the bounds of a movable chicken tractor. Free range is not a viable option for Cornish X broilers because they are not aggressive foragers. Buy it or make your own? With the price of GMO-free, organic beans and grains (yes, even when buying in bulk) it’s still cheaper for us to purchase pre-made feed. Through Azure Standard we purchase what I think is the BEST non-GMO, soy-free, corn-free, organic chick starter by Scratch and Peck at a fabulous price! From the time chicks arrive here at the ranch, maintaining their health and preventing disease is my primary goal. A healthy chicken will drink, eat, and grow big with great ease. oregano essential oils — researchers found that adding oregano essential oils to chickens’ water was the most effective at preventing salmonella…click here to read more (I add 3 drops to every gallon of water. The chicks are all settled in and growing. And be sure to follow my Pinterest Board “Keeping Chickens” for added inspiration! What a great tutorial! I’d be interested in what kind of a facility you are using to raise all these birds! I raise Cornish Cross chickens for meat every summer, and we have a small temporary chicken tractor that my husband made out of PVC and chicken wire. We’re going to upgrade this year–we don’t have a permanent building big enough–and I’m wondering how you house all these chicks? Hi Amy! We don’t have a permanent building either 🙂 Right now (and for the first 2-3 weeks) they are in a huge cattle tank that we have set up as a brooder. Once they get their feathers and don’t require the heat lamp, we will move them outside to be housed in 2 moveable pen/chicken tractors so they can feed on grass. We had ours made with heavy duty chain link and they are completely enclosed to keep them safe. This was great post Andrea … thank you so much. If possible could you post more pictures. 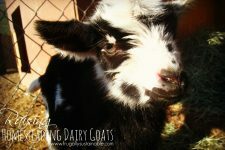 I am interested in seeing them eating the goats milk particularly. I have a chicken building on my wish list too. Thanks for the post! I love how you treat your birds so well and all of the water additives are a great idea. It’s been years and lots of moving since I’ve raised any meat birds. We’re just renting right now, but it sounds like a chicken tractor is the only thing we’re lacking…hmm. Might have to give it a go now that you’ve laid it all out and reminded me that it’s not that hard! Thanks again! Yeah! Do it Sarah 🙂 Even if it’s only a few birds (like 3-6 even). Every little bit helps and it’s so good to stay connected! So excited you got your birds! Makes me want to buy some now. I have the baby chicken fever!!!! Also been thinking about my garden. I am way ahead of this crazy weather in Arkansas. Hi, you should check out the https://thepoultryhatchery.com/. They have a great selection, and they do not drop the baby boy chickens into a meat grinders – alive. I know that sounds awful, and it is. I have been doing some research into big hatcheries, and the industry is really scary. I am think of raising meat birds for the first time this year too. 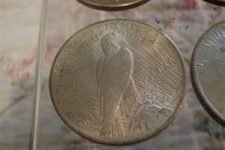 How many birds? and how much area do they need once they are moved outside? I would also love to see pictures and more posts/tutorials that explain the different stages. Also, when you freeze them-what temp. is the freezer & how long can you store them? 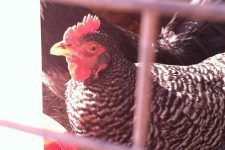 Backyardchickens.com has many great forums and resources on all aspects of raising chickens and other poultry. I suggest you be sure it is legal in your area first I live in the city. Also plucking many birds on dispatch day is very difficult try building or renting a chicken plucker like the wiz bang chicken plucker. Good luck I started last spring with 5cornish rocks and 10 layers of various breeds and have loved every minute of it. I’m very interested in what you think the cost per pound comes out to raising your own. It’s so hard for me to estimate what you might use in feed costs to raise them the 8 weeks or so. Any ideas? Only the actual monetary cost from start to finish, not the time involved cost. We can purchase for a great price from our farmers market in bulk and I want to weigh the difference. We have limited space for raising at our current home but it could probably be done for two months. Laurie without including housing cost which can vary from nearly nothing to several thousand dollars I would say that cost per pound is less than $1.00. I raised my first meat birds last spring (cornishX hens and roosters) We started with 5 just to make sure we could handle dispatch day without being over whelmed. We ended up with 3hens and 2 roosters. We raised them for 11 weeks instead of 8 or 9 due to work schedule. The hens dressed out at 9 pounds each and the roosters were 13 pounds each. Putting 53 lbs of meat in the freezer. Also we noticed that the meat tasted much better and was more fulfilling than store bought chicken so we ate less meat per meal and are now more conscientious and appreciative of the sources of the meat products we eat.. I would also recomend that everyone read the omnivor’s dilemma by Pollan. My 13 year old daughter helped with dispatch day including the kill station and handled it amazingly well. I was searching online and I’m so glad that I found this very informative post. This is very helpful, especially to someone who is thinking of getting a chicken for meat/egg. I have 6 chickens for eggs and it’s very fun to raise your own chicken. You will get fresh eggs everyday and you know that your chickens are healthy.